In this presentation Heather Lesley-Swan, brings a practical and experiential approach to understanding the many attributes of Psyche manifesting through Jungian Sandplay Therapy. Heather recently became the first Jungian Sandplay Therapist to be certified by the International Association for Sandplay Therapy (ISST) and is at the forefront of the development of a Jungian based practice in Australia. She will offer her experience, share clinical material, and invite the participation of the audience in symbolic interpretations. Heather will also explain the unique qualities of Jungian Sandplay Therapy sharing her knowledge of important details of the form, work and stages. She will explore how the primary elements of Jungian Sandplay Therapy: earth, body and image, work within a physical and psychological container to amplify and communicate the individuation process. She will also present material showing the development of a client’s process – inviting the audience to discuss some of their observations of the images. Heather Lesley-Swan, Analytic Psychotherapist, ISST Certified Sandplay Therapist and international consultant has a breadth of professional and clinical experience which is rarely available. Echoing the concept of “the space between”, Heather’s domain respects the practicalities of polarities; ‘at home’ in the world of work, even corporate thrust, she is also ‘at home’ with the numinous, serving others to bridge, know and live their individuation path. 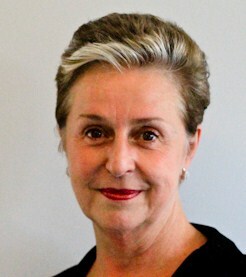 Heather cherishes Jungian Sandplay Therapy as a powerfully engaging therapeutic technique which facilitates the psyche’s natural capacity for healing, structural differentiation, psychological expansion and development of Self. Initially trained in Law, Heather holds a Masters in Psychotherapy, Post Graduate qualifications in Counselling, Communications Management and Ethics. Heather’s active involvement with Sandplay Therapy commenced more than three decades ago, with an Australian-based student of Dora Kalff , friend and neighbour of Dr. Jung. She has presented programs and professional papers in Australia, Europe, UK USA and Asia. Heather works mainly with adults, has a particular interest in neuroscience and those living in the absence of symbolic richness and their families.